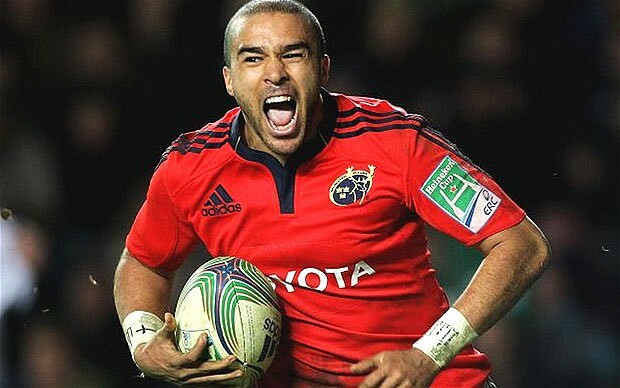 Leinster’s Cian Healy, Ulster’s Nick Williams and Simon Zebo of Munster have been nominated for the 2013 Hibernia College IRUPA Players’ Player of the Year. The award is one of seven which will be announced at the annual awards ceremony on Wednesday 8 May at Dublin’s Burlington Hotel. Among the other awards is the Nevin Spence Young Player of the Year, contested this year by Connacht’s Rob Henshaw, Leinster’s Ian Madigan and Luke Marshall from Ulster. The Volkswagen Try of the Year includes Craig Gilroy’s try against Argentina, Ulster’s Ian Henderson’s effort against Saracens in the Heineken Cup and Zebo for his try against Wales in the RBS 6 Nations. This is the second year of the Hibernia College Medal for Excellence, which will be awarded to the individual who demonstrates exceptional commitment to the game both on and off field. Leinster’s Isaac Boss, Ulster’s Chris Henry and Munster’s Marcus Horan are up for this gong. Ulster’s Nigel Brady, Munster’s Billy Holland and Michael Swift of Connacht have been shortlisted for the IRUPA O2 Unsung Hero Award.